Vue.js is a front-end framework that builds on many of the reactive UI ideas introduced in React.js. 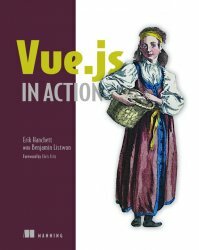 Vue.js in Action teaches readers to build fast, flowing web UI with the Vue.js framework. 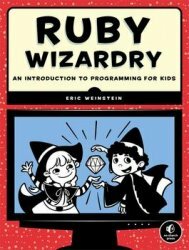 As they move through the book, readers put their skills to practice by building a complete web store application with product listings, a checkout process, and an administrative interface! This book doesn't assume that you are a seasoned software engineer with years of experience in Java, Akka or Akka HTTP. 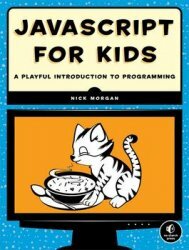 The only prerequisite to this book is that you are "comfortable" with Scala. 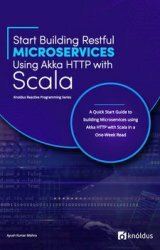 Scala was selected as the basis for this book attributing to its wide popularity, ease of understanding and learning for those who haven't used it. This book has been written for developers wanting to start developing REST API right away. I assume you have a basic understanding of Scala. The book does not exhaustively list all feature of Akka HTTP. The writing style of the book saves you the effort of going through long and contrived examples.Each and every topic has been illustrated with a simple to understand example with test-cases. At the end of the book, do find the link to many sample projects, which can also be used as a template. Believe it or not, there is a striking similarity between medieval castle design and how we protect networks and data in the 21st century. By examining how our ancestors fought off invading armies, it becomes much easier to understand the latest strategies for keeping hackers at-bay. 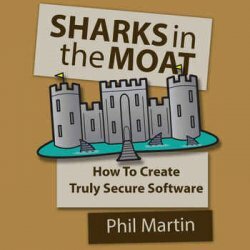 This book is designed for anyone who wants to understand how to create and deploy secure software that can stand up to the most malevolent attacks by the bad guys. Whether you are a PM, product owner, developer, architect, tester, DevOps or infrastructure team member, DBA, engineering manager, security manager, in charge of change management or even a security auditor – there is a mountain of information for you specifically. 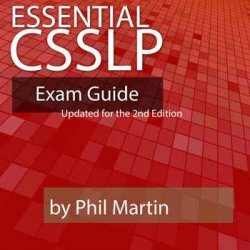 Essential CSSLP has been written with a single goal in mind – to present the CSSLP exam material in a way that is easy to absorb without leaving any content behind. Plenty of examples are included to drive the points home so that when it comes time to take the exam, you will be ready! This exam guide covers content for all eight domains, but instead of listing information in a dry, dull format, Essential CSSLP takes you through the content in a way that mirrors how we engineers work in the real world. After covering core security concepts that everyone should understand, the book then slices up the remaining content by roles: DevOps, Infrastructure, DBA, Development, Product, Architect, Engineering Manager, Testing, Project, Security, Change Management, and Auditor. 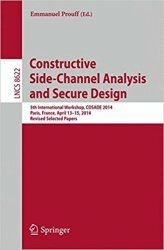 This book constitutes the thoroughly refereed post-conference proceedings of the 5th International Workshop, COSADE 2014, held in Paris, France, in April 2014. The 20 revised full papers presented together with two invited talks were carefully selected from 51 submissions and collect truly existing results in cryptographic engineering, from concepts to artifacts, from software to hardware, from attack to countermeasure. 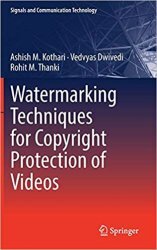 The book provides copyright protection approaches for videos using watermarking. The various watermarking techniques using various transforms such as discrete cosine transform (DCT), discrete wavelet transform (DWT) and singular value decomposition (SVD) for videos are presented. 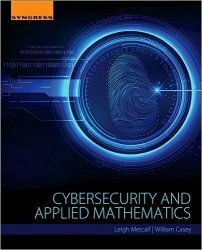 The book also provides video watermarking approach using compressive sensing (CS) theory. The presented watermarking techniques are designed and implemented using color digital videos. The performance of the presented techniques is evaluated using Peak Signal to Noise Ratio (PSNR) and Normalized Correlation (NC).